Super Hygienic: The Crash Pad™ is provided with a waterproof, vapour permeable and anti bacterial PU cover. The cover can be completely removed and machine-washed at high temperatures. Our foam is naturally bed bug & dust mite resistant and hypoallergenic so for people suffering from allergies it is a safe sleeping environment. 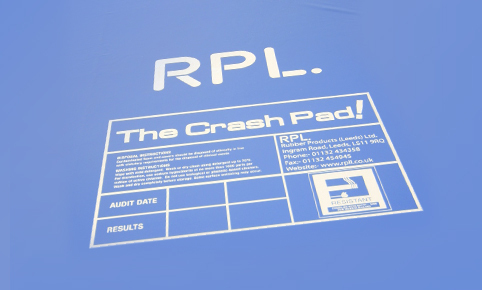 Environmentally Friendly: the foam within your Crash Pad™ is 100% recyclable if returned to RPL or any other local recycling plant. The cover is removable and machine washable so can therefore be retained and re-used on new inner foam sections. The Crash Pad Mattress: provides a permanent and hygienic solution for multi use establishments whilst still helping the environment as the foam core can be recycled rather than adding to land fill sites. Fire Certification: all foam meet the British Furniture and Furnishings(Fire)(Safety) Regulations S1 1324 1988, amended 1989,1993,2010-CRIB 5.